And it’s a goodbye to two of our characters! Okay, so how did this happen? 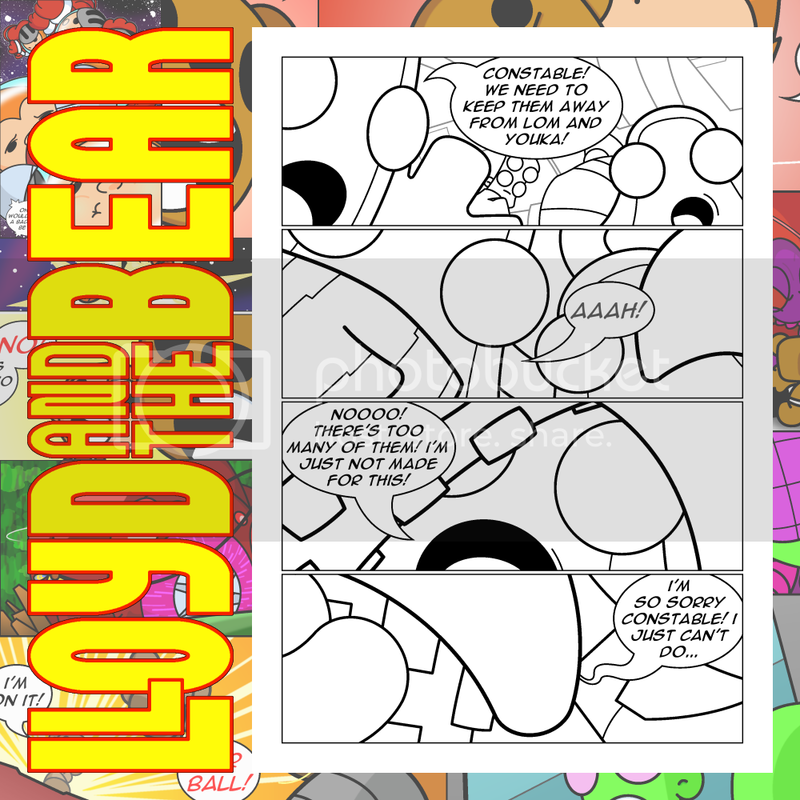 So I’m still updating issue #12 of Lloyd and the Bear and just finished drawing page 23 when I realise that this is the last time you’ll see Youka and Lom in this book! No word of a lie, we’re only half way through the book but that’s their last scene! I mean, the big reason is that it’s not their story and that they got caught up in everything happening. They’ve played an important part but there was nothing else for them so yeah, that’s it! Does anyone want to see a Lom and Youka mini series? Anyone? No?